There are an ever-increasing number of household items being made ‘smart,’ from toothbrushes to fridges like Samsung’s $5000 Family Hub that has enough built-in tech to rival a smartphone. Now, a new product has gone on sale that’s a lot cheaper, and probably more useful, than many connected devices: a smart water pitcher. The $45 Brita Infinity is the result of a collaboration between Brita and Amazon. The pitcher tracks the amount of water that passes through its filter and, once it nears the end of its life, will automatically order a new one using Amazon’s Dash Replenishment service. Once a user puts a new filter into the pitcher, they simply need to press the start button for the Infinity to begin its monitoring. When it counts around 40 gallons of water – said to be the equivalent of two month’s use – it will order more of the $6 filters. You need to register your contact and billing information online with Dash Replenishment to receive the replacements. Amazon already uses the service for customers to automatically order printer toners, laundry supplies, dog food, and even blood glucose testing supplies. 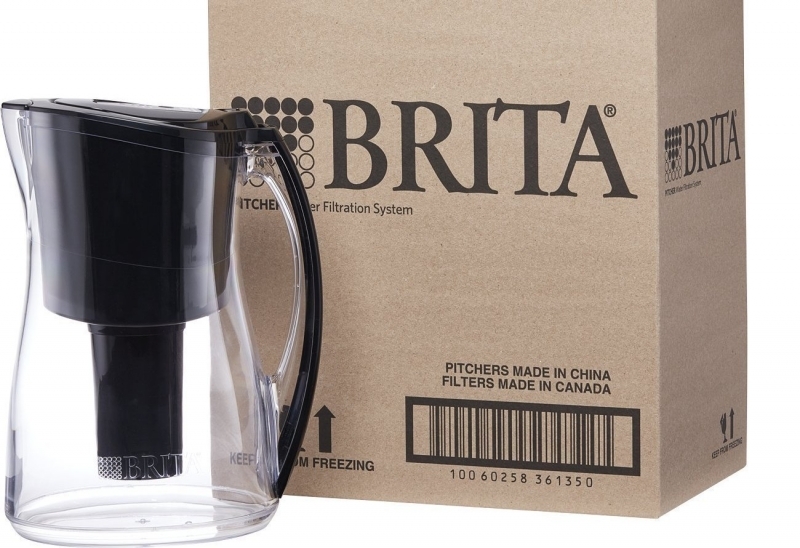 "People buy Brita pitchers because they want cleaner, great-tasting water from any tap, but the challenge is remembering to have that replacement filter on-hand, just when you need it," Brita General Manager Ed Huber said in a statement. "We saw an opportunity to work with Amazon to make keeping up-to-date on filter changes effortless for Brita users. By integrating Wi-Fi connectivity into this pitcher so it can connect with Amazon Dash Replenishment, we've created an elegant, simple solution to eliminate that moment when you realize you didn't re-order your filter." More companies are expected to introduce connected features to their products, so consumers won’t need to remember to stock up on certain goods when they’re doing a shopping run. These include August, Oster, Petnet, Sealed Air, and Whirlpool. While some may say that automating parts of our lives in this way isn’t necessarily a good thing, you can expect more household items to become ‘connected’ as time goes on. I’m certainly hoping that the canceled automatic toilet roll replenisher that was on Kickstarter a couple of years ago gets resurrected. I'm not too sure about this. I used a Brita water pitcher for a while and I couldn't taste any difference between it and ordinary tap water, maybe it depends on whoever supplies your water. Anyway, those filters are expensive. I'm sorry, call me old fashioned, but I just don't see the point. Maybe my city is just blessed with great tasting tap water, and I'm sure my city isn't the only one, but I think a lot of people feel like if it isn't filtered or bottled then they must be drinking water from Mexico. Funny thing is most bottled waters come from municipal sources. No thank you, I don't need a pitcher ordering a new filter after only five uses regardless of how effective the filter still functions. If you need an example. Look at how printers tell you how low you are on toner. While they continues to function for several more months. This water filter pitcher would be no different.